Every morning, find fifteen minutes for planning your day. Decide whether to take a textbook, a blank sheet of paper or use an application on your mobile phone or tablet according to your tastes. Write a to-do list that includes both necessary and optional tasks. Place them in order from the most significant to the least important ones from the top to the bottom, so that the most urgent and serious task would be the first. Try to be realistic and adequately assess your abilities and time. After finishing all necessary tasks like college essays, you will feel satisfaction which will motivate you to do more. Now it is time for optional assignments. You will be more likely to do more if plan your day in this way. Neither skip nor postpone the tasks of your to-do list. The majority of people write promising plans of their days, decorate them nicely, and then successfully find excuses for not following their own plans. It does not matter whether it is for your bad mood, a letter that you have to write to your friend, neighbor's birthday party or any other illusionary important reasons. Your to-do list will be effective and beneficial only if you strictly adhere to it. If you still fail to do this, and your deadline is too close for you to deliver a high-quality essay writing, contact EssayForMe.Org. For a better concentration, put away all your gadgets, limit Internet access as much as possible due to your tasks, block pop-ups of messengers and emails, put your mobile phone on a silent mode. Especially dangerous are emails. Every time a notification about a new email pops up, people tend to get distracted and open the letter. Do not be tricked by often illusionary importance of emails. Although you are not likely to write a response straight away, checking dispels your attention and wastes your precious time. In your to-do list, in front of each task, write how much time it will approximately take. Estimate your forces, the difficulty of a task, think about possible circumstances that may take additional time. For better planning, divide a task into subtasks. It will help you see more clearly how much time every task will cost you and eliminate unnecessary details. Next time you write an essay, check how much time essay writing takes, and take this into consideration while planning your day. Moreover, you may think whether or not the good grade is worth it, or it is better to buy it online. It is important to understand where your plans and goals will bring you. When setting a task, ask yourself why you want to do it and what results and benefits you will get in the end. Write one or several words next to each task. Value your time and do not do worthless activities. Successful and self-sufficient individuals do not let other people or circumstances plan their day, they do this by themselves. Do not be shy to tell about your priorities and deny helping others or changing your plans according to someone's needs. But if you need help with your assignments, consider ordering custom essays online. If there are any tasks that you do frequently, transform them into your habits. Being a conditioned reflex, a habit does not require an effort. Your body completes an action that is your habit without either spending energy for thinking or trying different options: it is an automized well-established process. 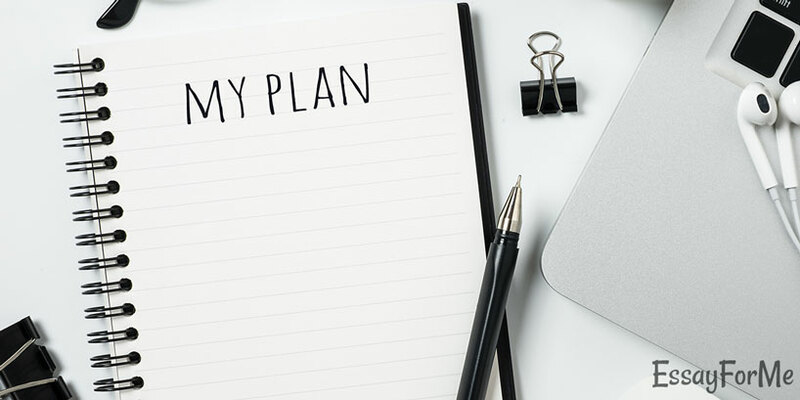 Deliberate planning of a day will pay you back with great results, satisfaction and more leisure time.